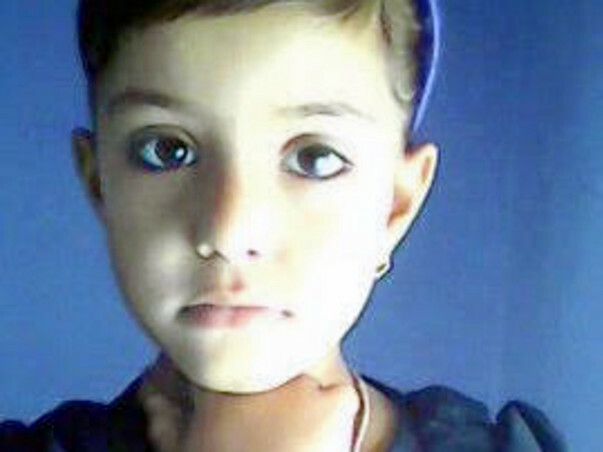 Diya is 8 years old girl. 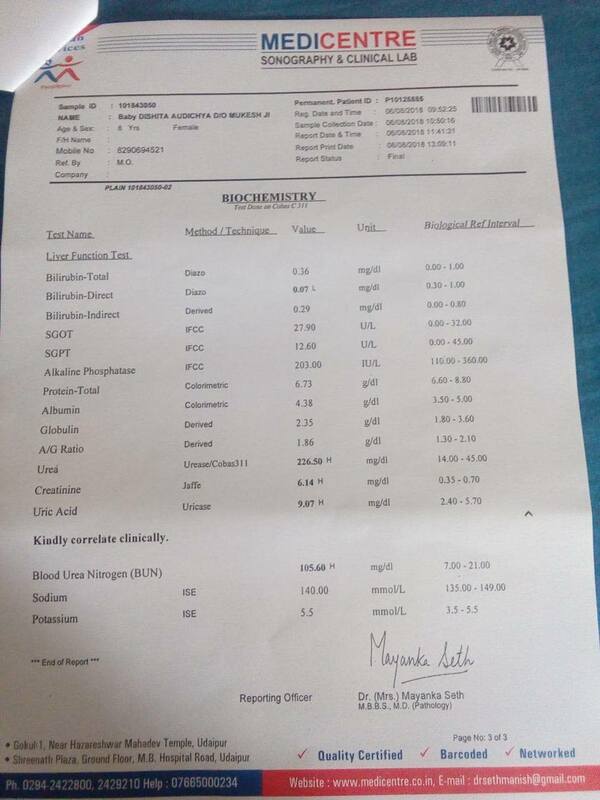 Her height was not increasing so her father Mr Mukesh Audichya decided to show her to doctor. 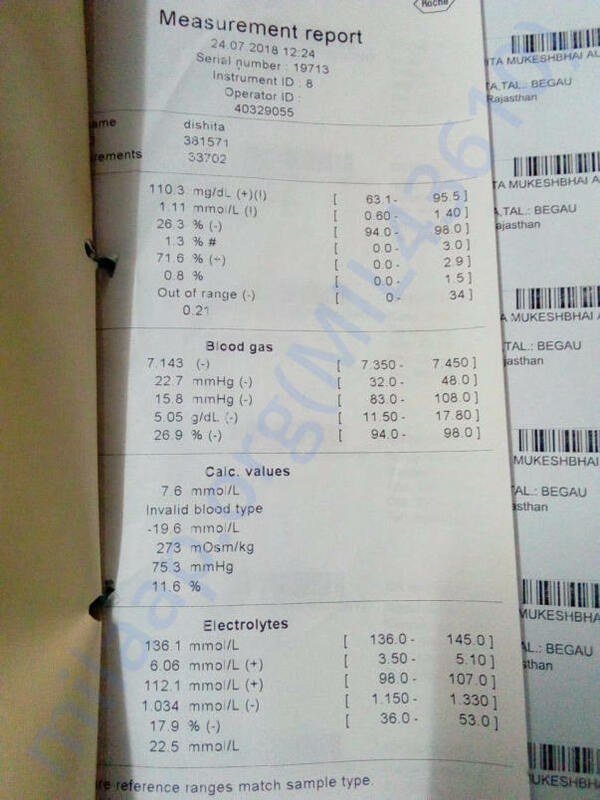 After consulting from doctor he got shocked when all the reports revealed both kidney failure. 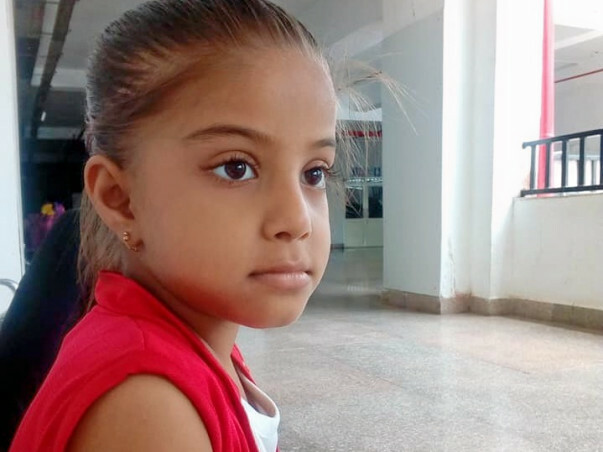 Diya's father is currently working in Rawatbhata Nuclear Power Plant unit 5 & 6 under contractor as a labourer. 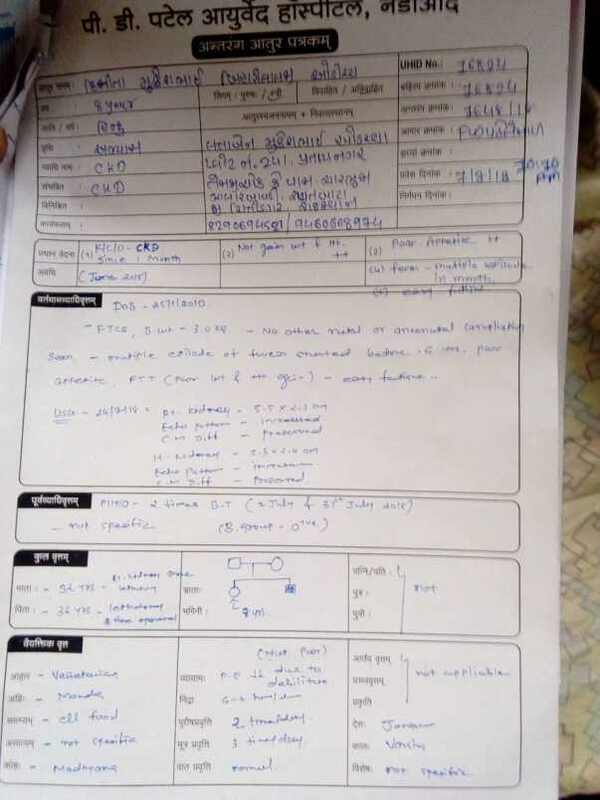 Mr Mukesh Audichya than decided to show Diya to some other hospital but got the same response from other hospitals also. 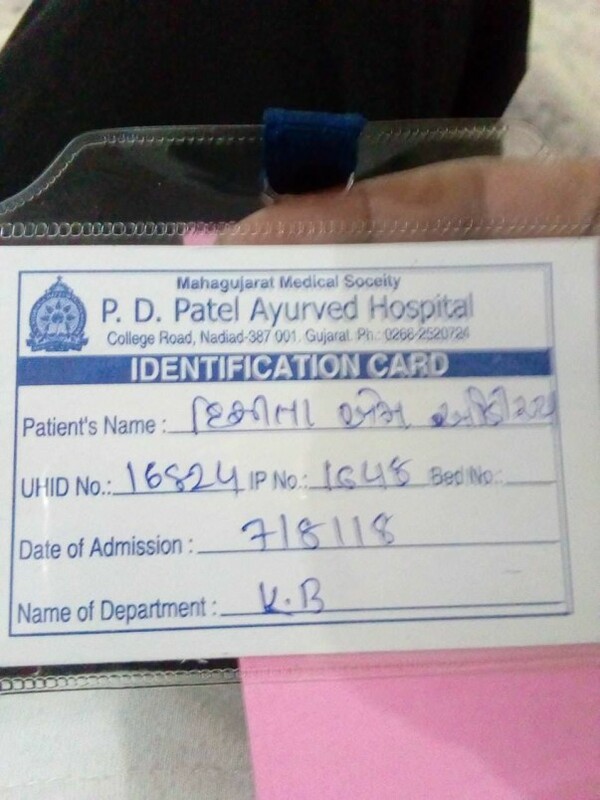 Than he decided to go to GR Doshi & KM Mehta Institute of kidney Diseases and Research Center, Ahmedabad, Gujrat where he found that there is no other way other than kidney transplantation. 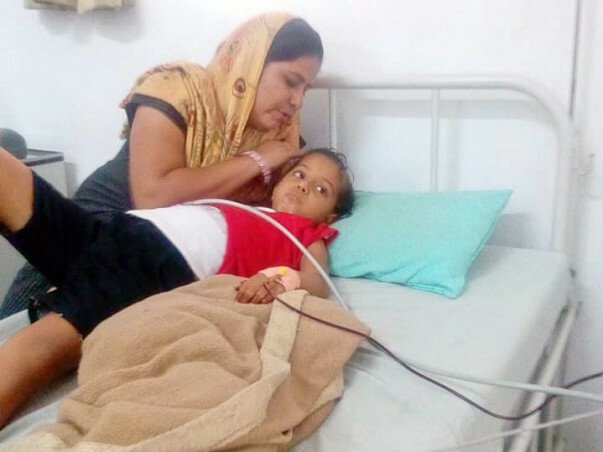 When Diya's kidney was matched with parents the kidney didn't got matched. 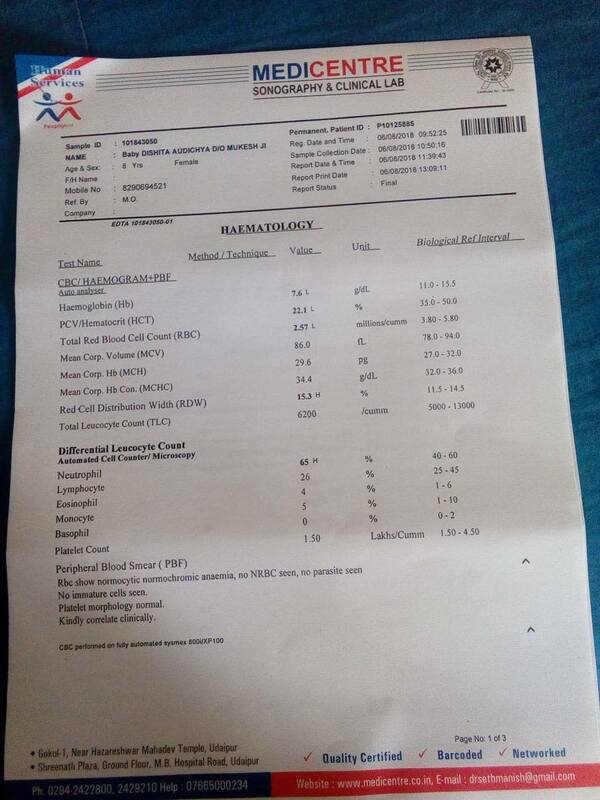 She is having O+ blood group. 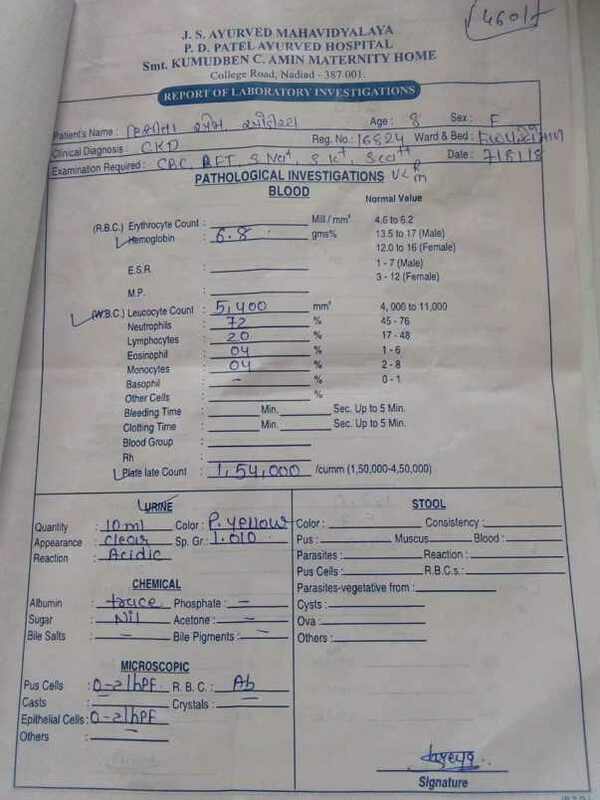 They are also in search of donor. 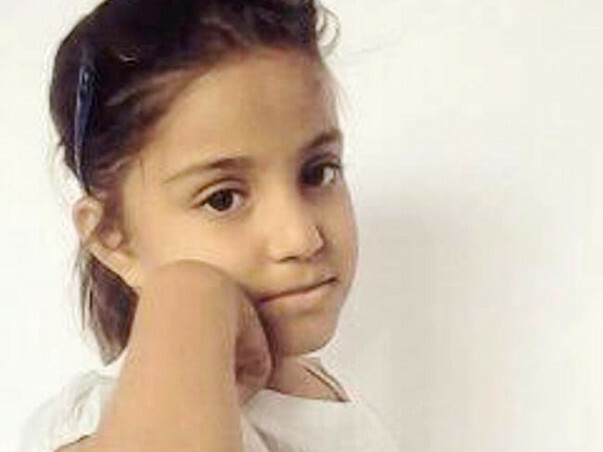 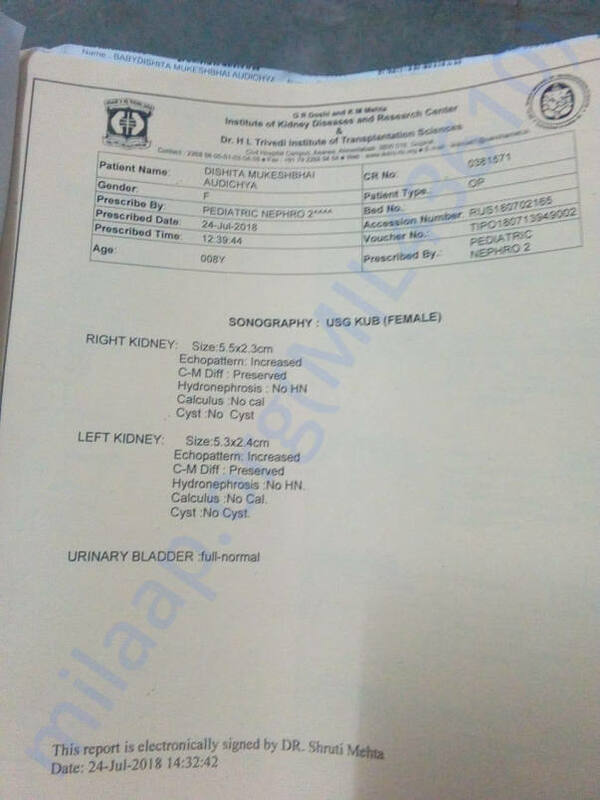 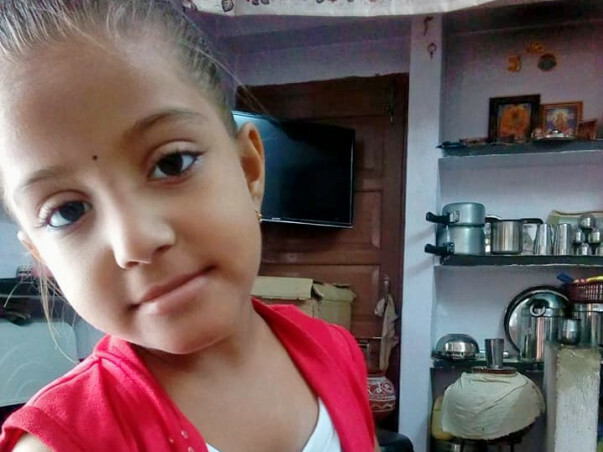 Diya needs a kidney transplant to survive which will according to doctors cost 25 lakhs. 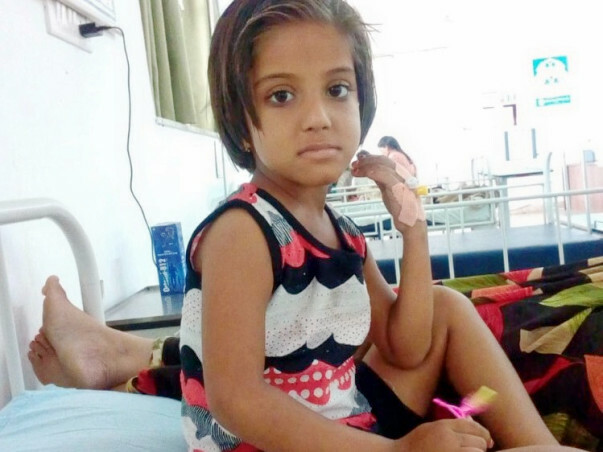 The family is not financially sound enough to save her from this disastrous disease. 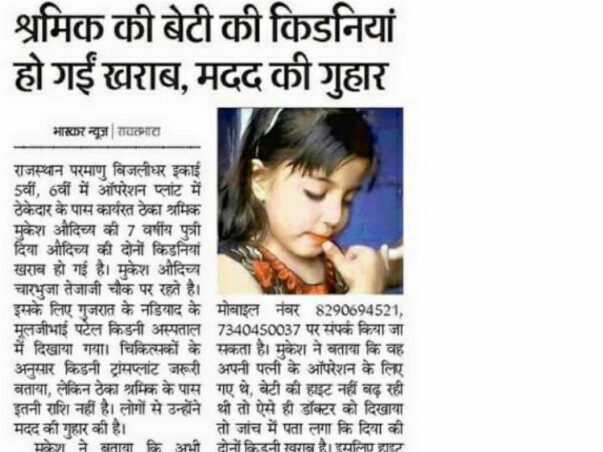 The family has already lost their son 3 years back due to one such disease. 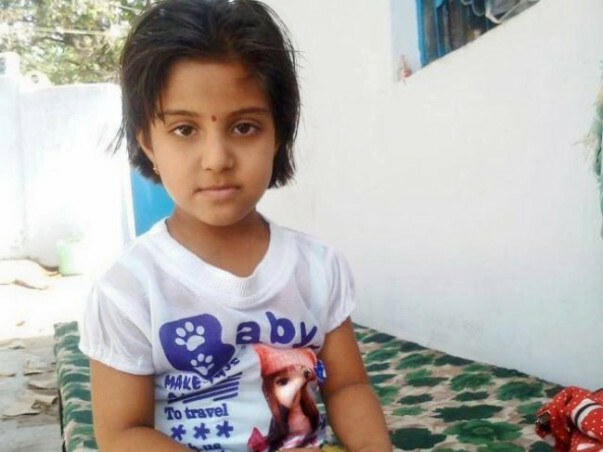 I humbly request to support them by making a donation and than sharing it with your network. I would greatly appreciate the support to save this little child. 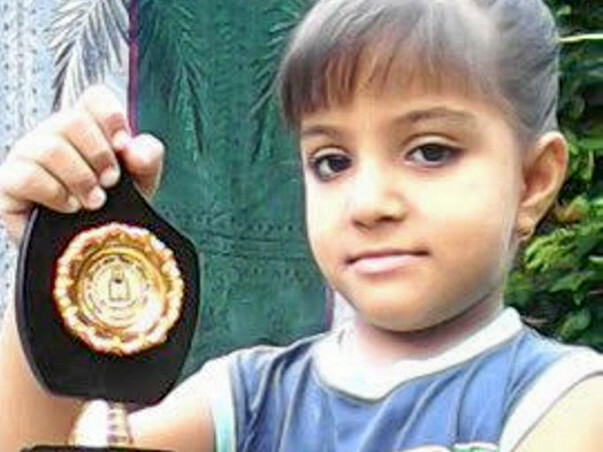 Even a small amount contribution can lead to achieving the goal. 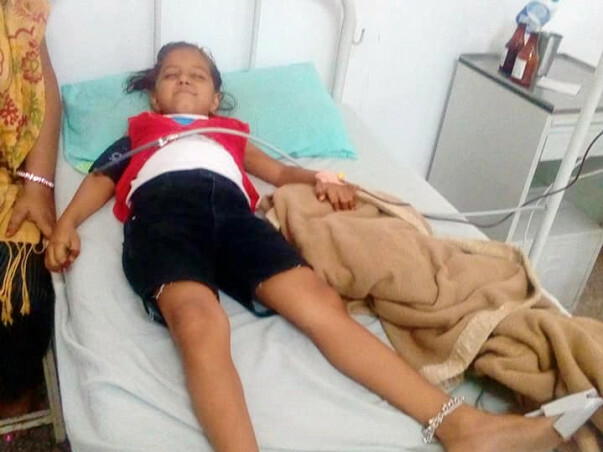 Diya was admitted in the PD Patel Ayurvedic Hospital where her treatment was going on since last three months. 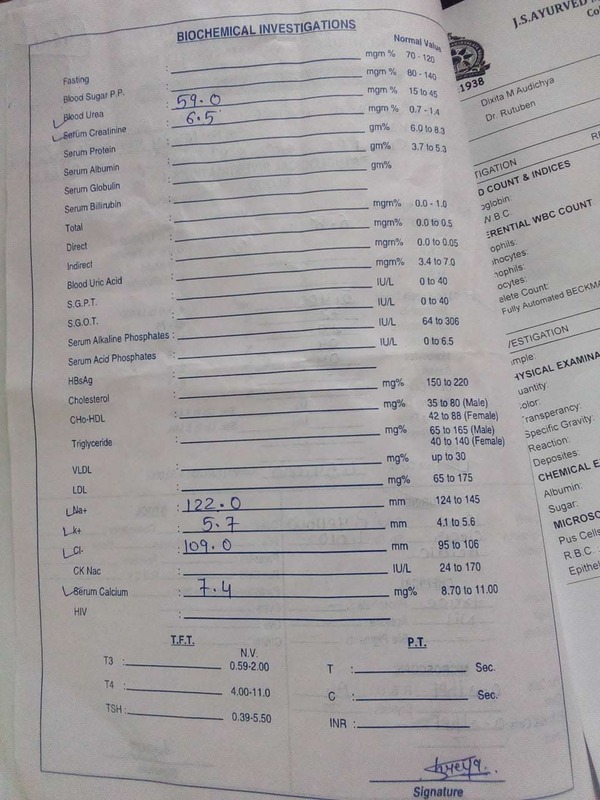 Her Creatinine also became low and haemoglobin came at good level. 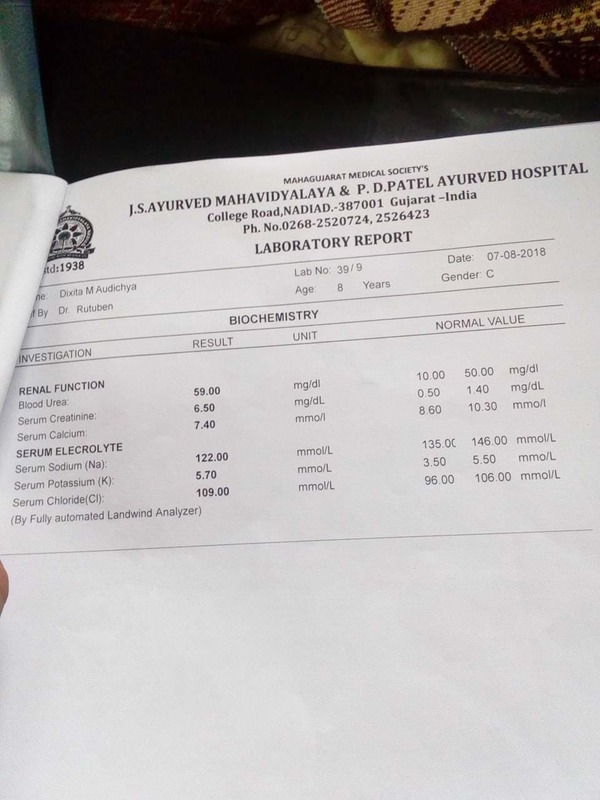 But suddenly after a severe fever her creatanine level went high after which she has to admitted in Civil Hospital Ahmedabad for dialysis. 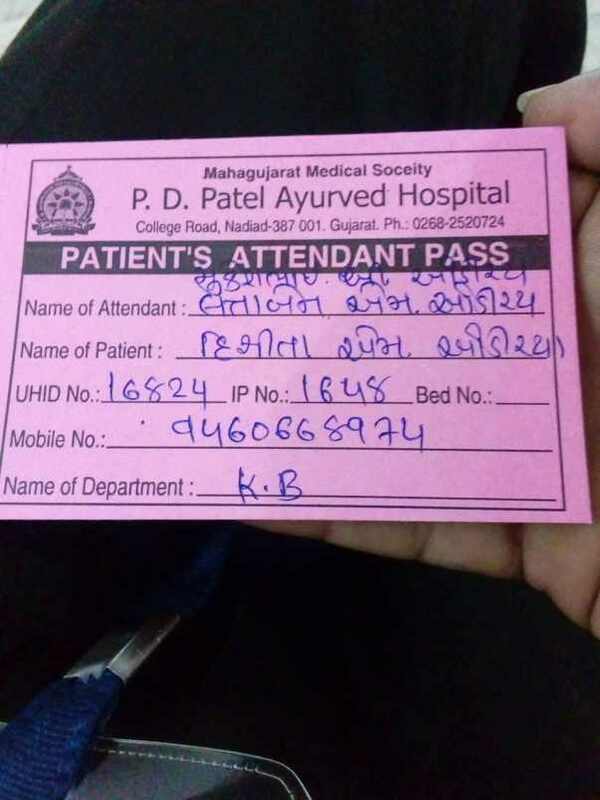 Now the dialysis is going 3 times in a week and the parents are waiting for Fund Collection and an O Positive kidney after which the transplantation would be done. 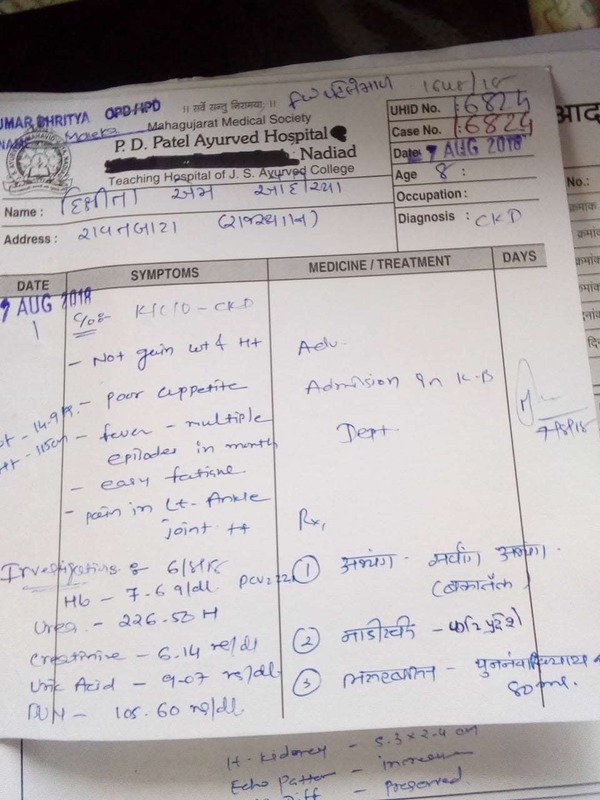 Medical reports of P D PATEL AYURVEDIC HOSPITAL DATED 7 August 2018. 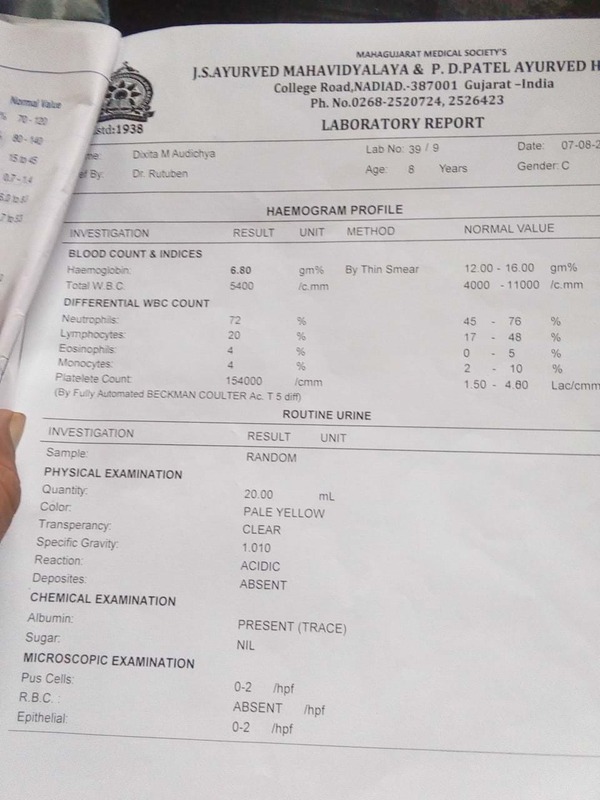 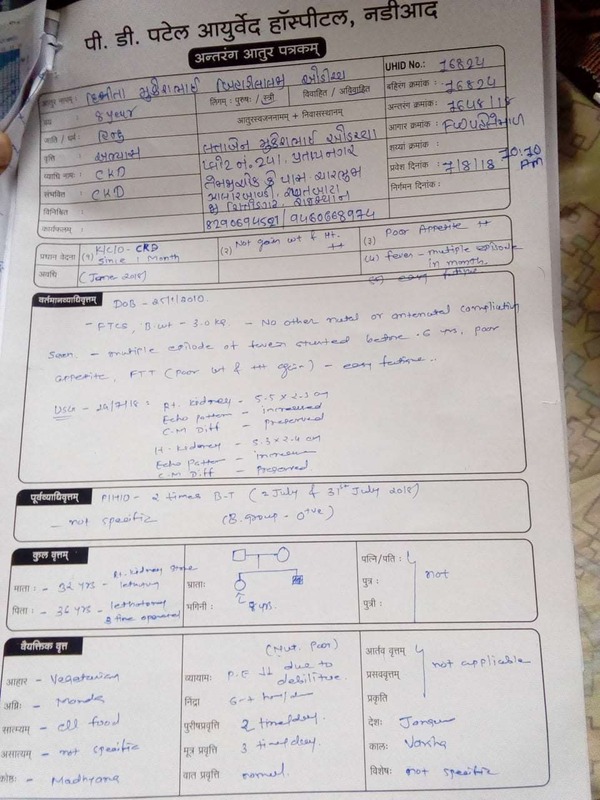 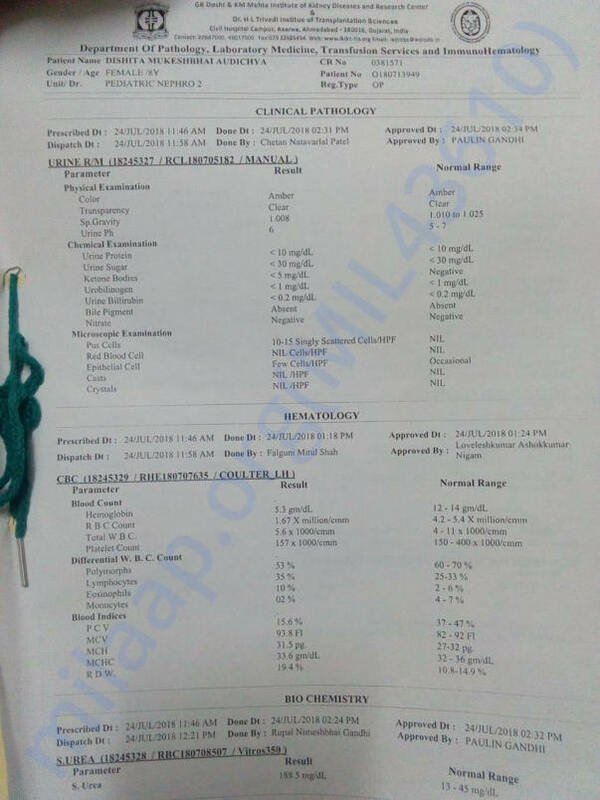 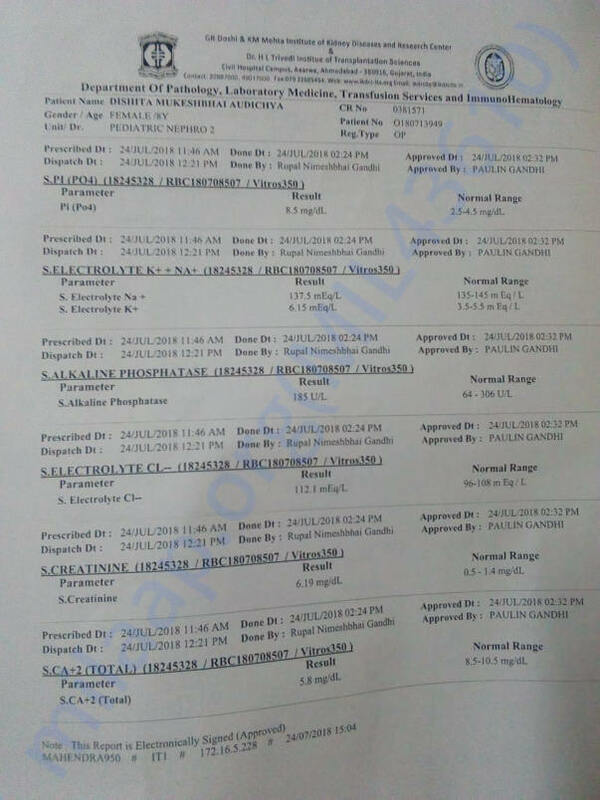 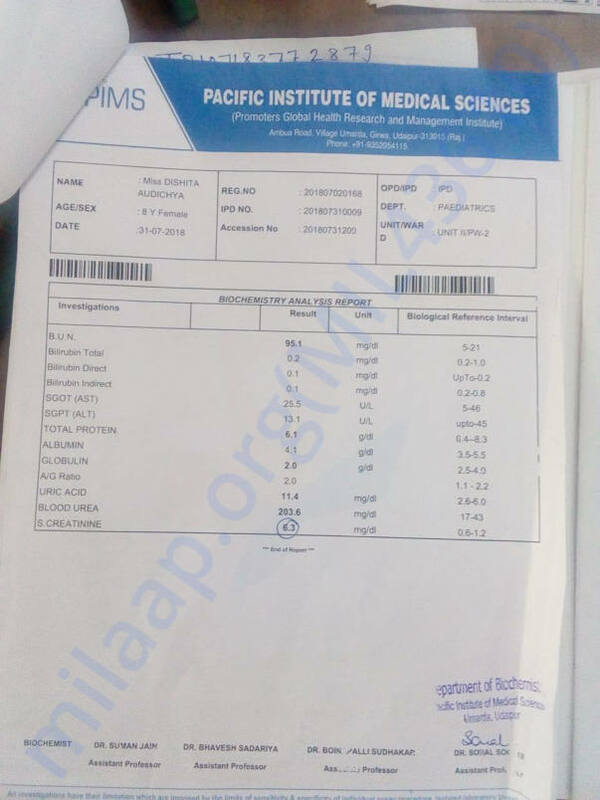 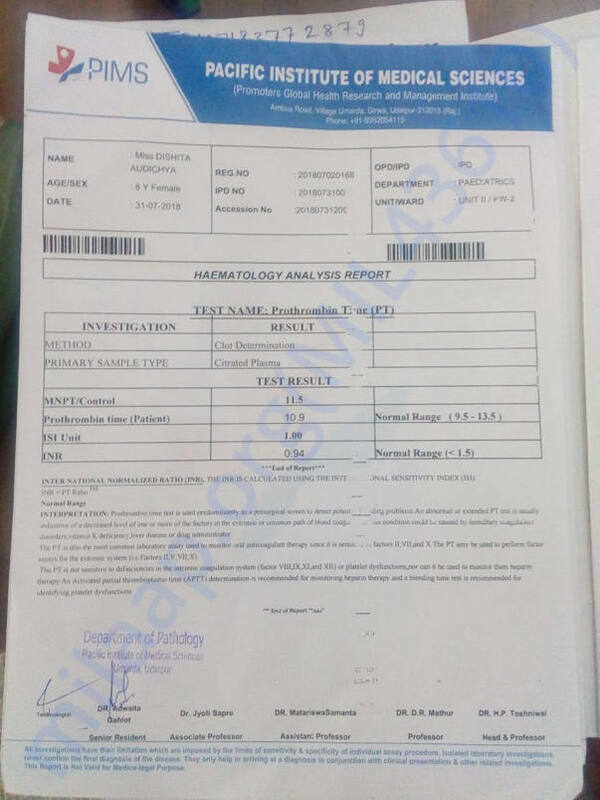 Biochemistry Report and Hematology report of Diya dated 06/08/2018 showing cretanine level very high.